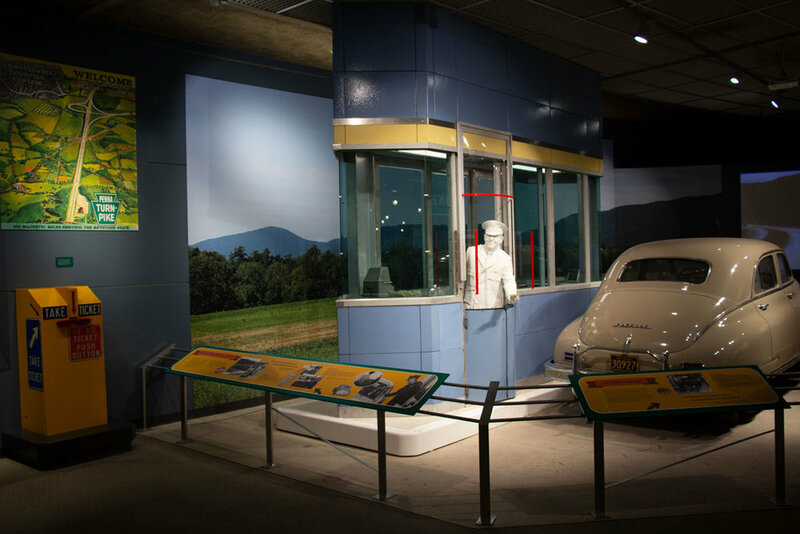 The Pennsylvania Historical Museum Commission was creating a new exhibit to highlight the Turnpike’s contributions to improving the state’s transportation infrastructure. Tunneling through the Allegheny Mountains, rather than routing over or around them, cut travel time between Harrisburg and Pittsburgh in half. The PHMC contacted B.R. 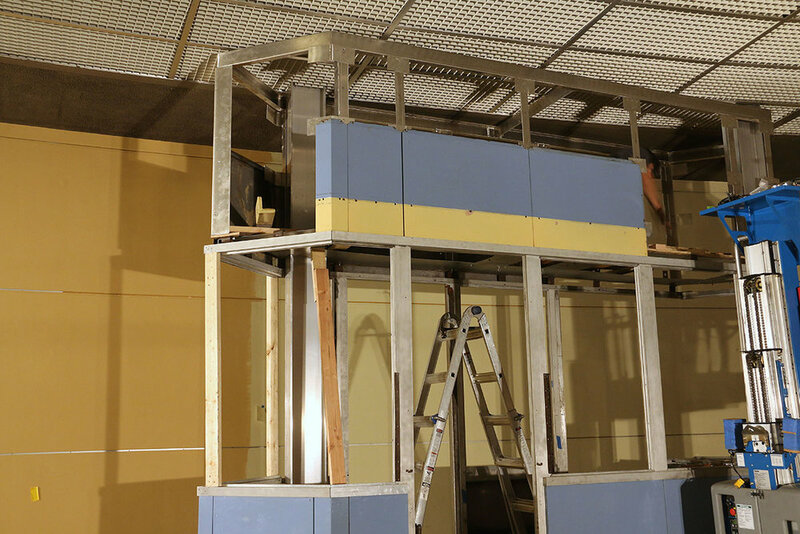 Howard to conserve the original materials and reproduce missing elements of a 1940 PA Turnpike Tollbooth. 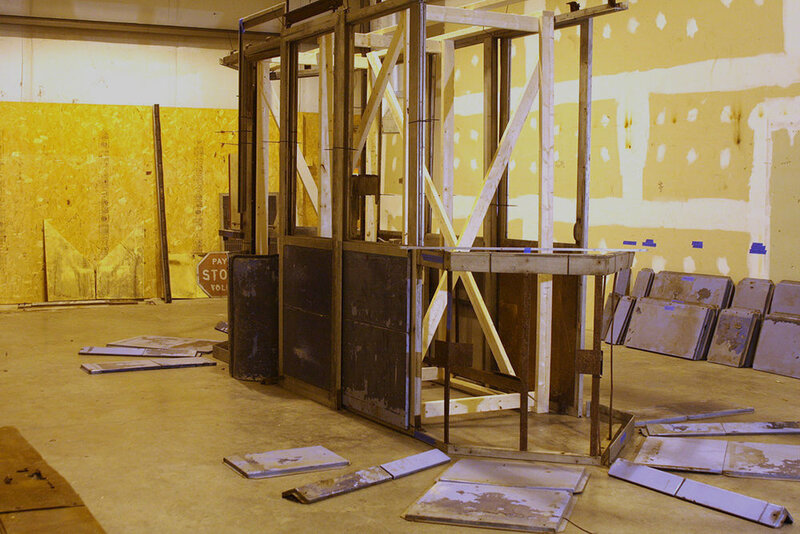 Before being delivered to our facility, the tollbooth sat in storage completely disassembled for decades. 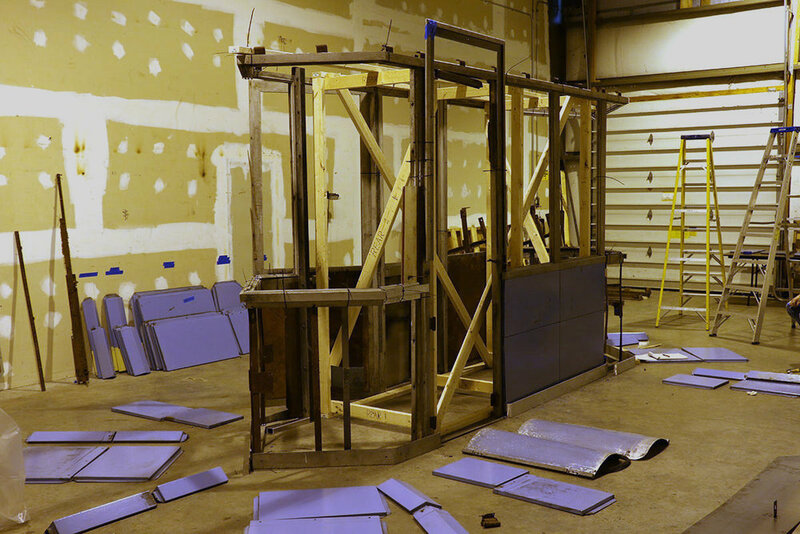 Original blueprints were able to be obtained, which greatly assisted our efforts in inventorying the panels and aluminum frame to determine what was missing. Multiple layers of flaking paint were removed through a combination of CO2 blasting, soda blasting, and paint stripping. 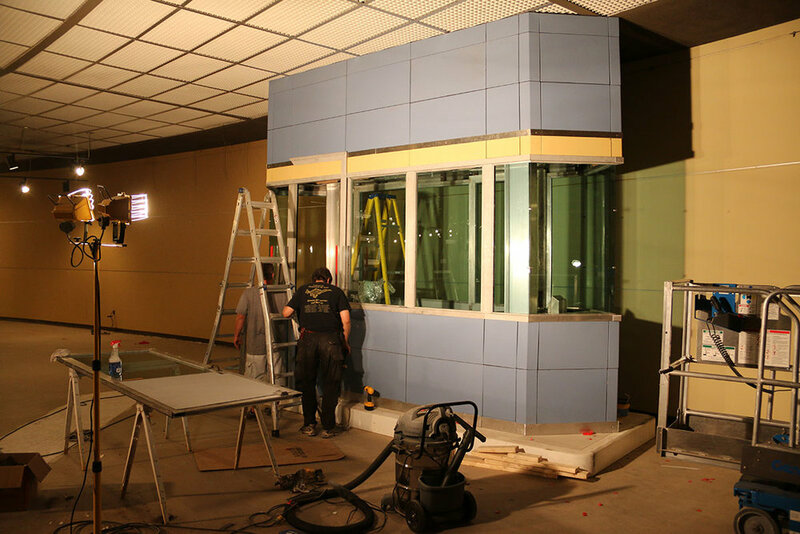 The missing structural upright I-beams and tinted glass windows were acquired. 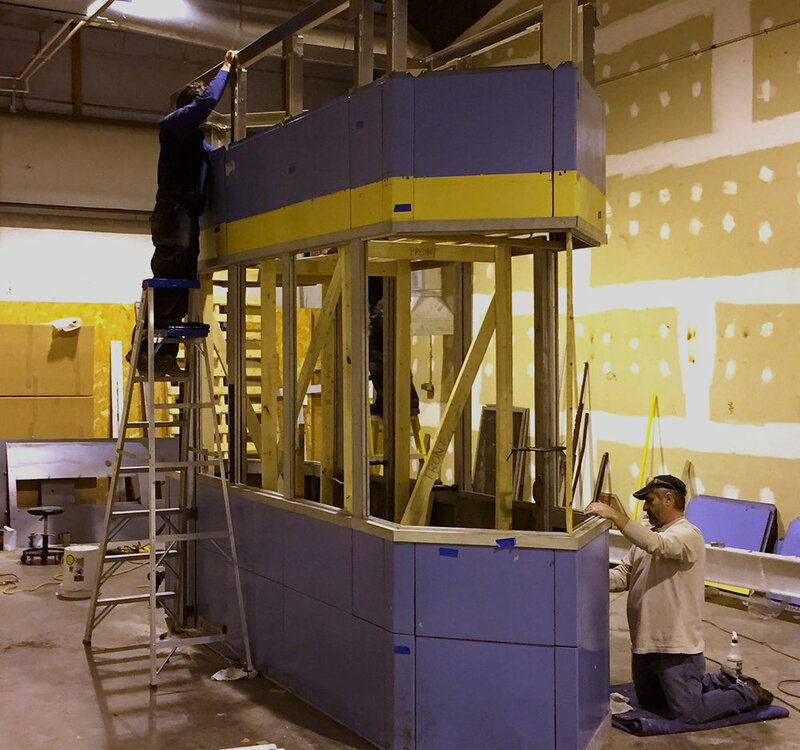 Any missing aluminum components, panels, and curved Plexiglas had to be custom fabricated. The interior was also reproduced by BRH from existing historic images. 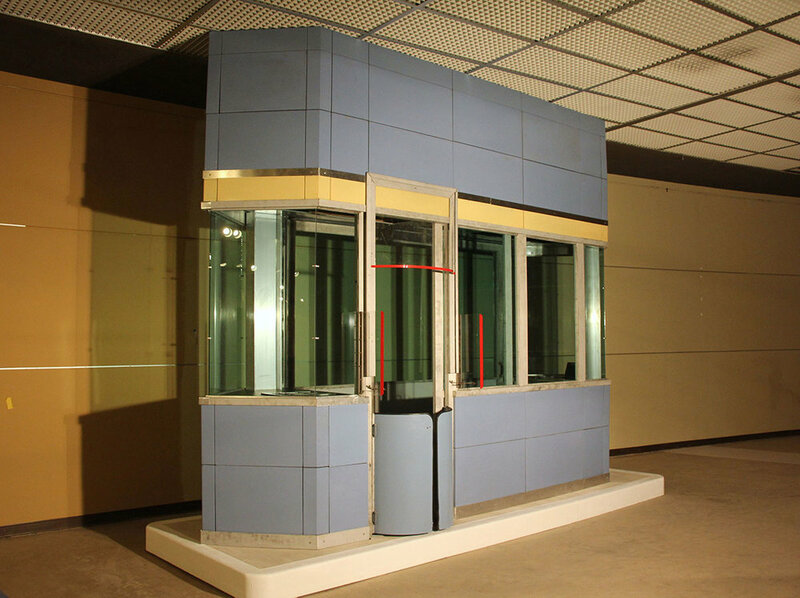 BRH constructed a large faux concrete pad for the tollbooth to sit on once it was installation in the museum. The I-beams and interior framing were tied into the steel above the ceiling of the exhibit gallery.